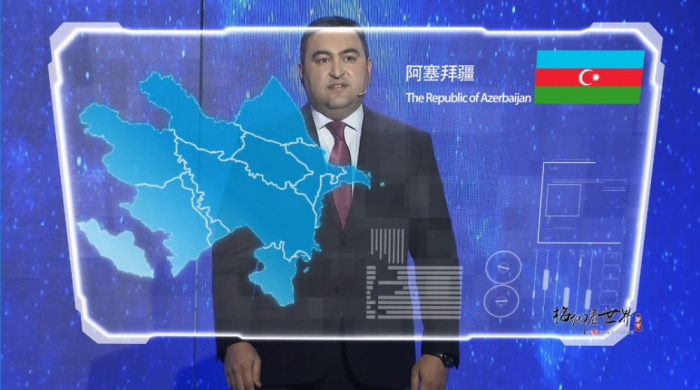 The Chinese Travel Channel’s View World program has dedicated one of its series to Azerbaijan, AZERTAC reports. The program highlights Azerbaijan’s history, rich cultural legacy, geographical position, economic opportunities, tourism potential, and cuisine. The program gives detailed information about the ancient places, including the UNESCO World Heritage-listed Icherisheher, legendary Maiden Tower, Gobustan National Historical-Artistic Reserve, as well as Flame Towers, Ateshgah Temple, and Yanardag. The program also highlights Naftalan oil, which heals many diseases. The guest of the program Azerbaijani Ambassador to China Akram Zeynalli answered the questions about Azerbaijan. He noted that Azerbaijan, the country rich in oil and gas resources, has also made great strides in tourism sector in recent years. On bilateral relations in the field of tourism, Ambassador Zeynalli said the simplification of visa regime for Chinese citizens, as well as the implementation of the "ASAN visa" system have increased the Chinese tourists’ visits to Azerbaijan.